While drones—those small remote-control aircraft that are becoming increasingly popular among hobbyists—have not been used in a terrorist attack on American soil, thwarting them is increasingly becoming a challenge for law enforcement. Just ask security officials at the White House, who earlier this week had a huge headache dealing with a drone landing on the lawn of America’s First Family. Officials have warned that the low-flying devices could be modified to carry explosives, chemicals, biological agents, guns, or cameras. 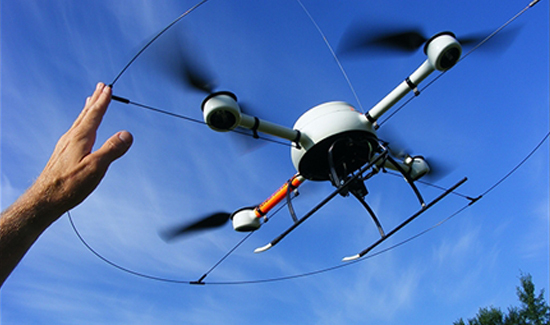 So, what can be done about drones, and how prevalent a threat are they? According to the New York Times, an analyst for the National Counterterrorism Center told a gathering of military, law enforcement and public utility officials in Arlington, Va., that extremist interest in “unmanned aircraft systems” had spiked recently.